Problems at one smallish bank don’t justify the slump in European stocks. Yet even as the U.S. finally heals, recent data from the EU, China and Japan has mostly been discouraging. In another lukewarm year, investors probably should be jittery – and market over-reactions expected. Spanish civil guard officers stand at the entrance of Portugal's Banco Espirito Santo office. The European Stoxx 600 Index fell 1.1 percent on July 10. 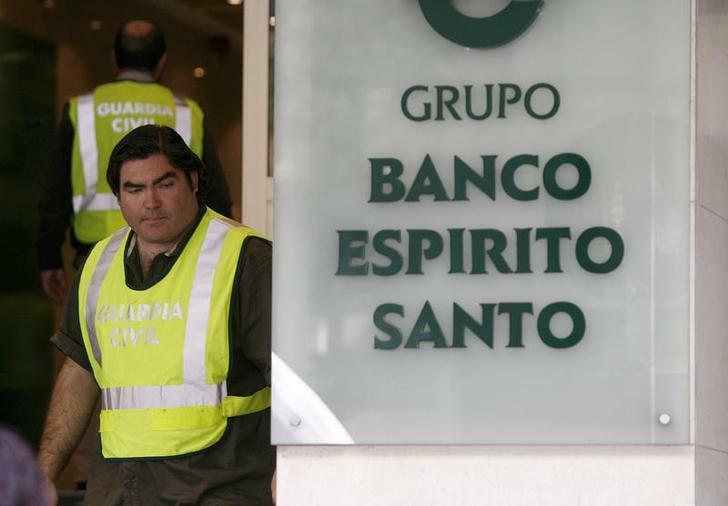 Traders cited worries about losses at Banco Espirito Santo, one of the largest banks in Portugal. The U.S. S&P 500 Index fell 0.4 percent. Industrial production in Germany, France and Italy fell by 1.8 percent, 1.7 percent and 1.2 percent respectively from April to May. In Japan, machinery orders fell by 19.5 percent. The latest minutes of the U.S. Federal Reserve indicated agreement that the central bank’s purchases of securities, known as quantitative easing, would end in October.